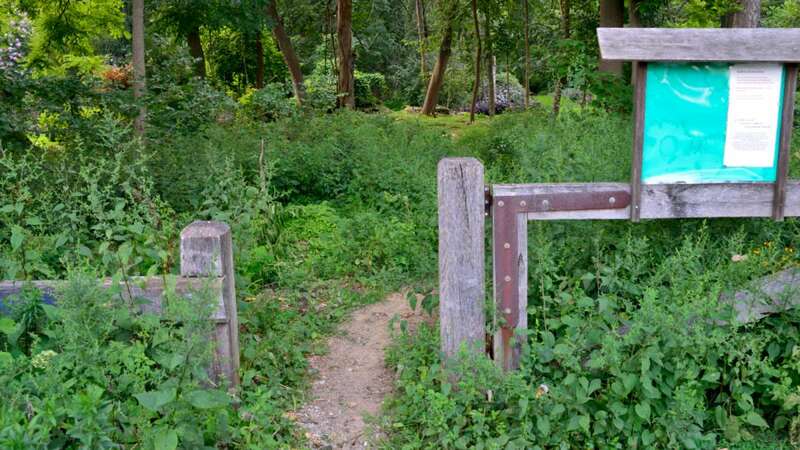 The Philadelphia region currently has several hundred miles of trails and spurs, where hikers, runners and bikers can travel along the Schuylkill and Delaware Rivers, the Wissahickon and its tributaries, and the Pennypack and Perkiomen creeks. So does it need one more in Northwest Philadelphia? 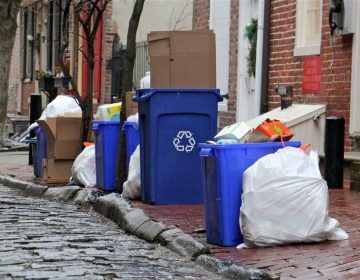 The all-volunteer Friends group dates back to 2007, when a feasibility study looked at how to connect the Wissahickon communities to Springfield, Whitemarsh and Cheltenham townships in Montgomery County. 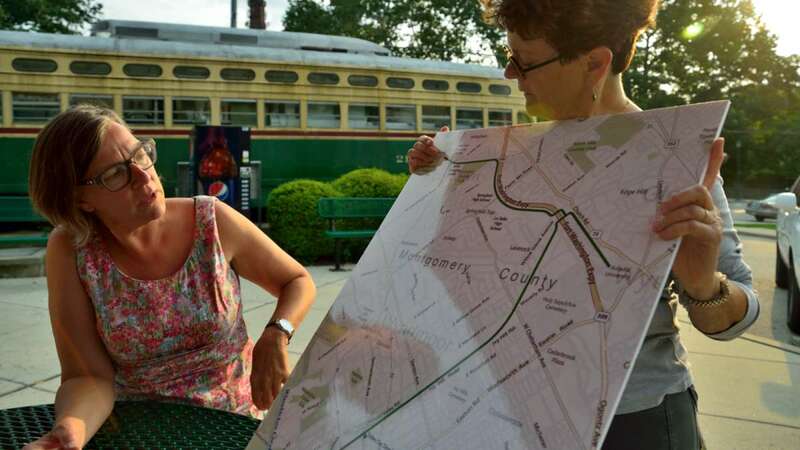 The concept for the trail goes back further, according to local folklore, to proposals first raised by the Chestnut Hill Rotary. A mile and a half of the Cresheim Trail is already well traveled by walkers and mountain bikers, from the point where Lincoln Drive dead-ends at Allens Lane through a woodsy path to Cresheim Road. 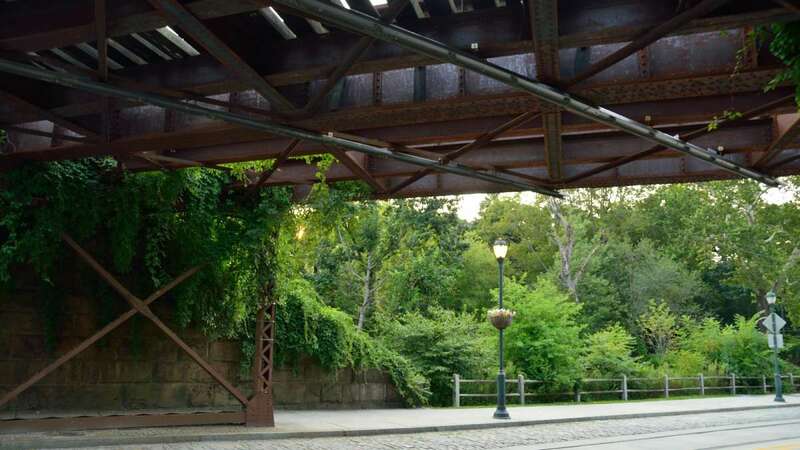 By the end of this fall, the Friends say the trail will extend to the defunct trestle over Germantown Avenue, with a spur down to the street. “The next phase is here,” where Mt. Airy and Chestnut Hill meet, said Friends board member Charlie Karl, a Springfield Township resident. But that long-unused railroad bridge, over one of the busiest intersections on the avenue, is a current stumbling block for the Cresheim Trail. The work achieved by the Friends group so far has been “pretty much sweat equity,” Dannenberg said. 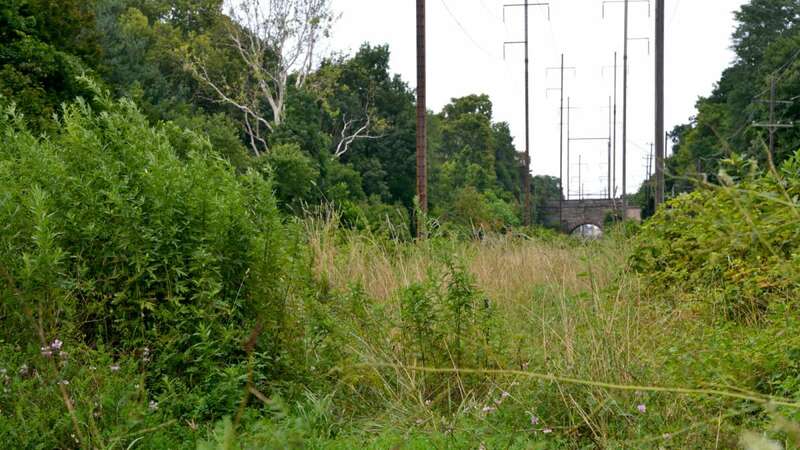 But having achieved 501c3 status, the group applied for public grants last December to tackle the work needed on the former Pennsylvania Railroad trestle. 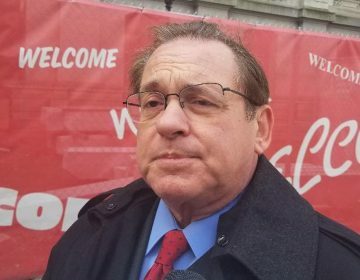 PECO, the owner of the bridge, wanted to transfer the liability for the structure and was offering it to the city of Philadelphia’s Department of Parks & Recreation for $1. The deal fell through last month, when the City Attorney’s Office recommended against the transfer. The Friends’ mission now is “to get those numbers and get the bridge in good shape. That’s going to be complicated because we don’t own it. We hope that the kind of political support and public support that we have, and the eagerness of PECO to divest themselves of this bridge” will result in a solution. When it looked like the PECO deal was imminent, the Friends raised $10,000 in pledges to match their grant application. “That’s the kind of public support we have for this,” Dannenberg said. 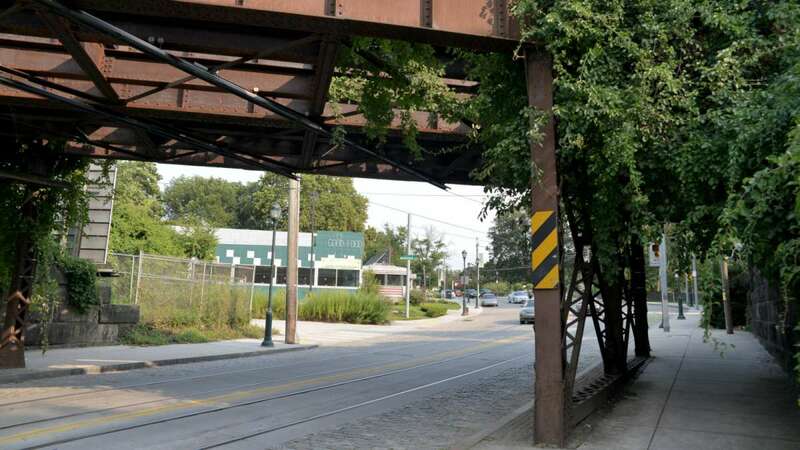 Developer Ken Weinstein has hiked the completed portion of the Cresheim Trail with his son to the family’s Trolley Car Diner on Germantown Avenue, which practically sits in the shadow of the trestle. He has offered $5,000 toward a safety study of the bridge and is waiting for a go-ahead from the city before the environmental study is launched. The completion of the trail over Germantown Avenue will bring residents from both directions to his restaurant, which he plans to expand next year. The bridge was built to bear the passage of two locomotives, and it only ever carried one, Dannenberg said, noting its stone block base and iron infrastructure. Once the Cresheim Trail is extended over the avenue, there is a straight, sylvan stretch toward Stenton Avenue and Springfield Township. 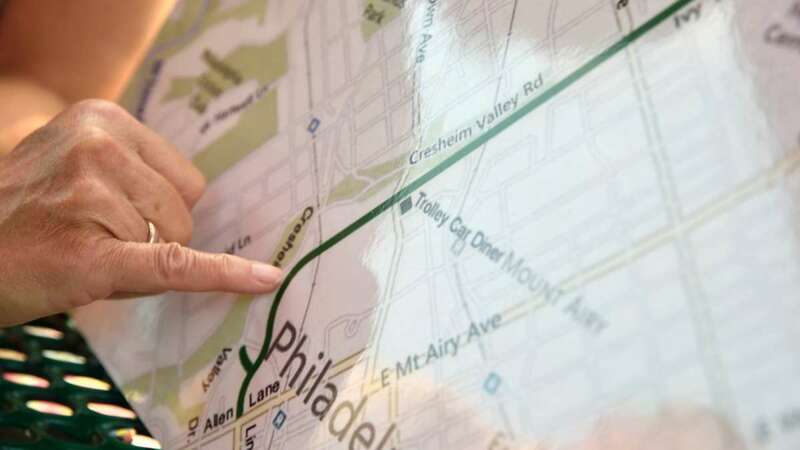 Arcadia University has expressed interest in developing a spur linking the trail to the campus. The proposed trail would continue toward Fort Washington Park and connect with the sprawling, preserved sections of Erdenheim Farm. It would pass two high schools and provide gentle access to a library, Karl said. It would also provide access for many small communities with street grids that are bicycle-friendly. “When I think of trails, I think of what they mean in terms of not only physical health, but also social health – tying together communities,” said Karl, a recently retired school social worker. 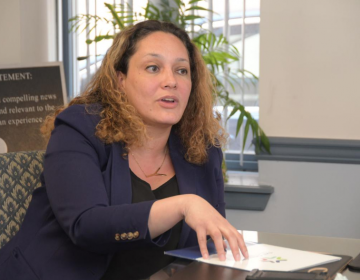 NewsWorks has partnered with independent news gatherer PlanPhilly to provide regular, in-depth, timely coverage of planning, zoning and development news. 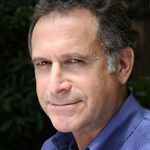 Contact Alan Jaffe at ajaffe@planphilly.com.